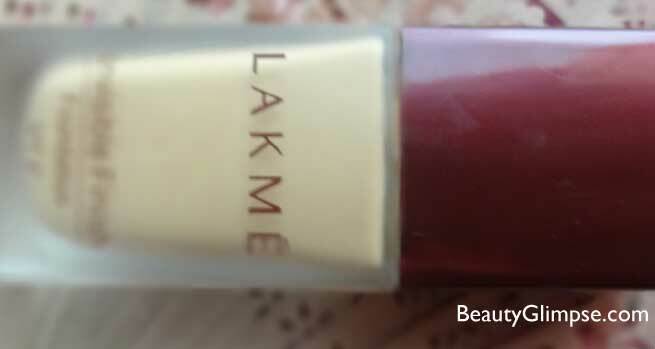 Lakme is a very popular and trusted brand in India. This is the brand which most of the Indian women still pick blindly. 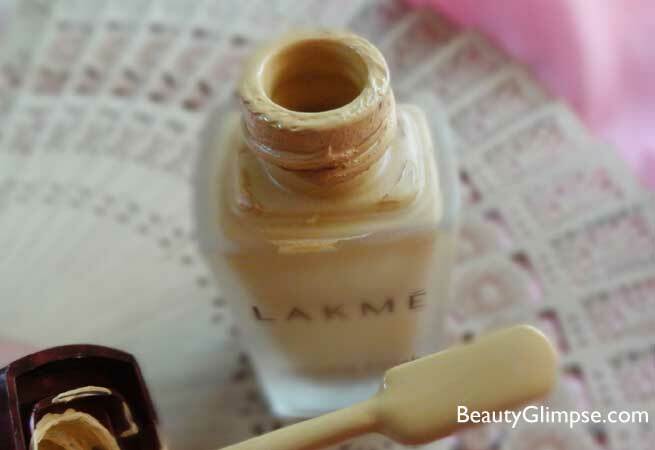 That is because Lakme’s products are specially formulated to suit Indian skin tones. I was looking for a daily wear foundation which would give me a decent coverage. That is why I picked this foundation. Read the review to know more about the foundation. 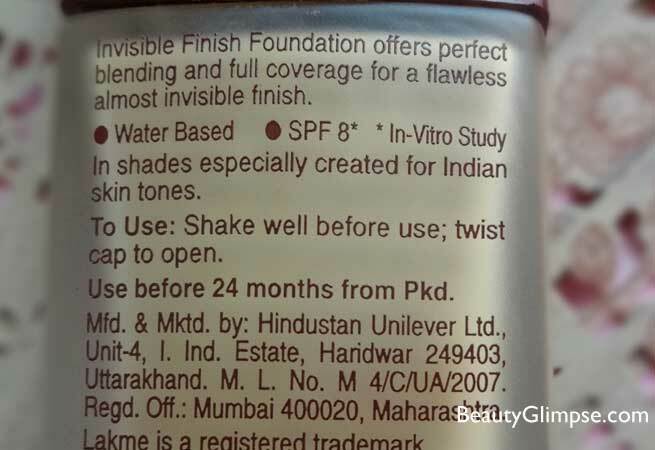 This product comes in the standard Lakme packaging. They have not changed the pack from ages as far as I remember. This product comes in a heavy glass bottle with brown colored cap. The shade number is written on the top of the cap. Today I will be reviewing the shade 2 from this range. This range comes in 8 shades and most of them are specially made for Indian skin tones. So there are very little chances that you would not find the match for your skin tone. The bottle has a spatula inside it which is attached to the cap. This makes it easy to take the product out of the bottle. The consistency of the foundation is really nice. You don’t need to make any efforts to blend it in. and hence it won’t leave any foundation marks on the face. I use sponge or hands to blend it onto my skin and it blends like a dream. The shade is perfect for my skin tones. This shade in particular has slight yellow undertones which go really well with my skin tone. The staying power of the foundation is somewhere around 4-5 hours after which you might need to do some touch up. On the downside, when I tried using this foundation in summers it melted badly. I prefer using this foundation only in the winters and not in summers. I think this is a very good buy to start with. Could have had better staying power.